These back to school coloring pages will get kids off the couch and excited about the start of school. The back-to-school coloring pages come sprinkled with fun images of buses, lunchtime, art class, recess, apples, teachers, students, and school work. Of course, these back to school coloring pages make a great first day of school activity and are also usable at any time of the school year. 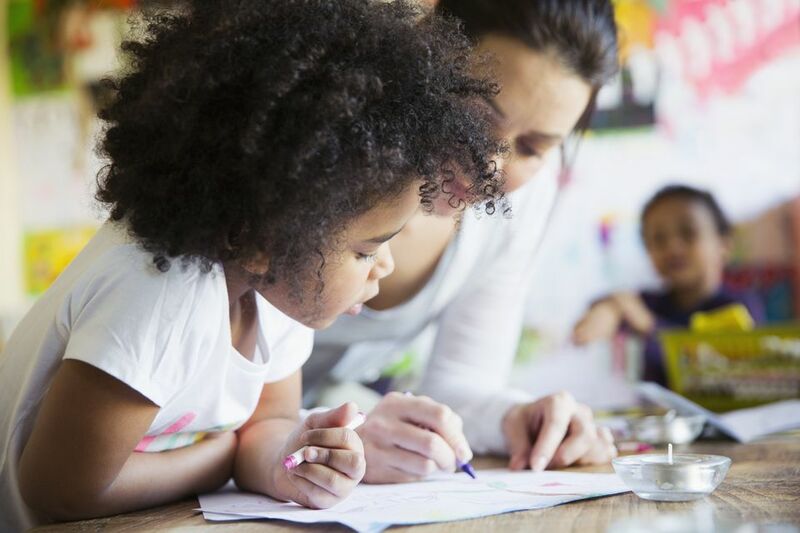 After your child has colored in some of these free back to school coloring pages, they may even want to pick out their favorite to give to their new teacher this year. You can find more back to school freebies like back to school clip art, lunch box notes, and first day of school signs. You'll find three pages of back to school coloring pages here that include images of crayons, glue, school lunch, paint brushes, pencils, playtime, apples, buses, school houses, teachers, students, books, school bells, and chalkboards. In addition to the back to school coloring pages, there's even an apple connect the dots worksheet that any kid would love. 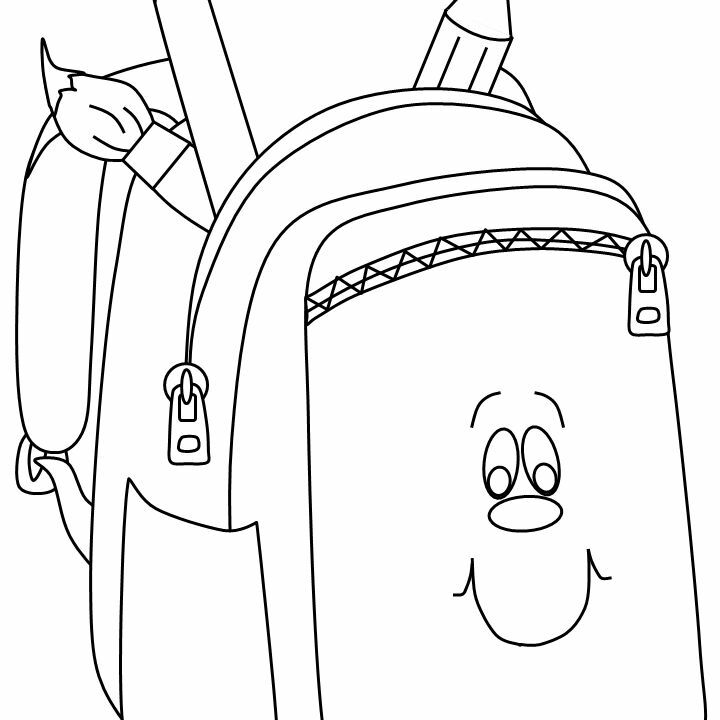 The back to school coloring pages at Primary Games has images of school buses, students, books, teachers, group work, backpacks, presentations, pencils, and bookworms. Click on the thumbnail of the back to school coloring page you'd like to print and then click on Printer Friendly Version at the bottom of the page before printing out the coloring sheet. These back to school coloring pages are perfect for the younger students who are getting ready to start or go back to school. You'll be able to print free back to school coloring pages of backpacks, books, kids coloring, homework, slides, apples, buses, and children. Here are more back to school coloring pages at Apples 4 the Teacher. They have two pages full of them that are all free for you to print out. All the back to school coloring pages here can be printed out and colored or can be colored online and then printed. I love the detailed back to school coloring pages over at Coloring Pages 4 U, and I bet that your kids will too. These back to school coloring pages can be printed out and colored in or colored online and then printed or shared. Color Me Good has a nice little collection of back to school coloring pages which should be fun for any young child. The back to school coloring pages includes pictures of students, parents, teachers, recess time, lunch time, school buses, and more. Twisty Noodle has some great back to school coloring pages that can all be changed to have custom text on it which makes them perfect to use for writing practice. After you've customized your back to school coloring page, use the Print Your Coloring Page link to print out your final draft. There are two pages full of fun back to school coloring pages over at Coloring Pages for Kids. Just print out any of all of these great back to school coloring pages with images of crayons, scissors, chalkboards, backpacks, students, teachers, and buses. There's a small handful of free back to school coloring pages at Coloring Castle of school buses, books, backpacks, schoolhouses, and apples. Download any of these back to school coloring sheets as a PDF file and then print them out. There are more than 20 printable back to school coloring pages over at Kids-n-Fun. You can even color these free back to school coloring pages online or just print them out and decorate them like normal coloring pages. Select the categories at Hello Kids to view back to school coloring pages of schoolyards, school supplies, classroom scenes, and school life. Besides free back to school coloring pages, there are also puzzles, videos, and back to school crafts.